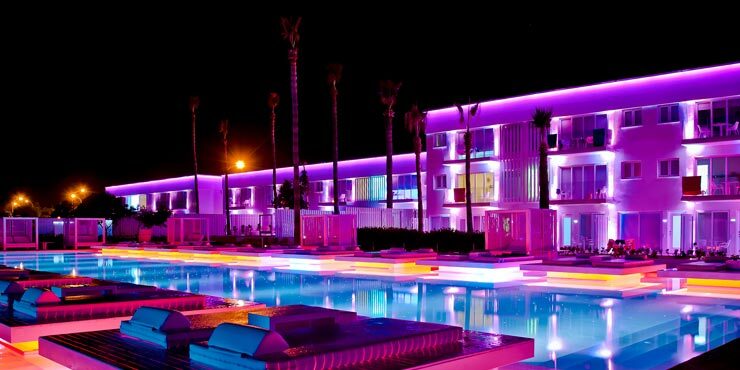 Floating sunbeds and the evening colour effects make the swimming pool the focal point of the hotel complex. This five-star lifestyle boutique hotel is situated directly on Aiya Napa‘s exquisite “Golden Beach”. The main building and multiple apartment suites feature a unique design concept, dominated by a fresh white colour palette. At the centre of the resort lies an impressive, all-white swimming pool area. The unusual design style is also carried through into the hotel bathrooms. The perfect silhouette of the GROHE Allure bath fittings combined with the bathroom ceramics create a dazzling visual spectacle. The attractive GROHE Rainshower® showers with GROHE Relexa Side showers afford an unforgettably sensual water experience.